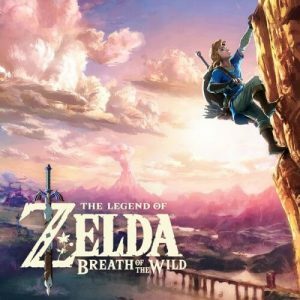 Nine months after the launch of the highly critically acclaimed The Legend of Zelda: Breath of the Wild, its highly anticipated story expansion is finally out. Expectations were high and I was certainly surprised seeing that the rating sits at around 80, which is quite far below the 97 that the title originally had. What I want to do is break down this in expansion in detail as to properly analyze how the rating came to be. A heads up though, this is not a review, but instead more of an analysis or critique. Therefore, this article might contain some elements that you could consider a spoiler. Without further ado, let’s get right into it. The DLC starts off extremely strong. After clearing out all the Divine Beasts, you are called by Zelda’s voice to return to the Shrine of Resurrection. There, you get to start the first challenge of the DLC. You gain the One-Hit oblitorator, which kills enemies in one hit but in turn also kills you if you take a single point of damage. With this, you need to clear out 4 camps of enemies in the Great Plateau, with each one awarding you a shrine. The challenge here is to make sure to approach each camp with a strategy. Since the oblitarator needs to recharge for a few seconds after being used twice, going in guns blazing will get you killed for sure. However, it is insanely rewarding to be able to clear out the camp without having taken a single hit. You are made to really think about the options that are available to you here. While you are unable to use any other weapons, you can still use all your gear and also your bow including all the elemental arrows. Taking out some enemies with nicely placed headshots before they notice you and making a couple of stealth kills is one option. Another option is to run away and lose the aggro each time you kill a few enemies. And, you could always try to disable your enemies with arrows or stasis, as long as you have the ammo for it. Nintendo seems to have taken inspiration from people playing Zelda games with only 3 hearts, which is a very common challenge for experienced players to do. This section is very similar to these kinds of runs and players who like to challenge themselves will feel right at home here. However, one of the biggest reasons the original game got such great reviews is that it fit pretty much any playstyle and anyone could play the game how they liked it. Limiting players on what they can do won’t make them happy if they preferred a more reckless playstyle in the base game. Then, after each camp, you get to do a shrine. These shrines are decent; they use fairly unique concepts. However, you still do them with the obliterator weapon, which results in them continuing with the challenge. There was one one of them in particular that pretended to be a pretty standard “A Major Test of Strength” shrine, which appeared multiple times in the game, but ended up doing a switch-a-roo with a lot more depth than the other ones. Apart from that however, the shrines were on the better side overall but didn’t particularly stand out. So far so good, the first part of this DLC adventure had nothing that could really be considered bad. It was solid gameplay and an extension of what was already present in the base game. Since this part isn’t what made the DLC rank so far below the main game, let’s move onto what comes next. After the oblitorator has served its purpose, you return it to its rightful place and unlock 4 new objective markers corresponding to a divine beast each. At every objective marker you go to, you get three pictures that show the environment of another small task each. Doing one of those tasks will unlock a shrine and completing all three tasks and shrines in a location will unlock the final challenge of each area. The original game was huge on exploration. It was a key point of the game and the freedom to play the game to your liking was what made it so great. You didn’t have to do anything; you could just play the game and enjoy it how it was. Since the DLC doesn’t expand the map at all, Nintendo tried to emulate the exploration with the pictures. Once you get to one of these three points, you should notice the challenge fairly quickly. Let’s go through one of them as an example. 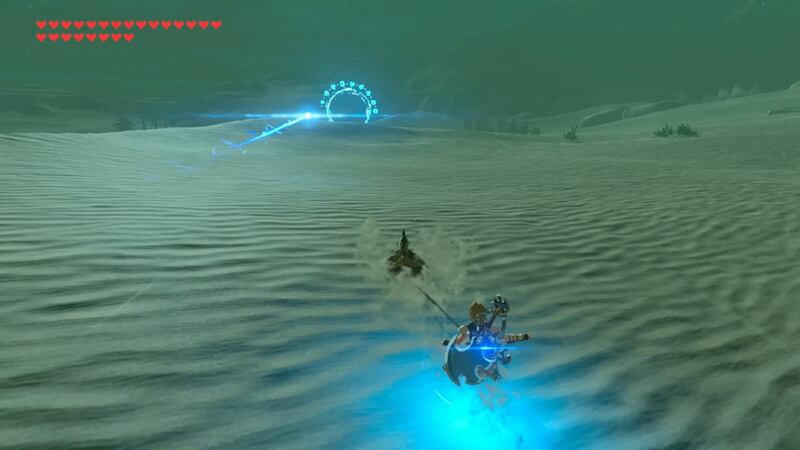 In the Gerudo Desert, one of the tasks is a fight against a stronger version of the Molduga, the King Molduga. It is pretty much exactly the same fight, but a bit tougher; fair enough. Next, you get to enjoy a race with a sandseal where you have to go through goalpoasts in a set amount of time. And third, you get to revisit the Yiga Clan hideout, where you get to do a slightly revamped version of the stealth section again. After you beat each challenge, which are in my opinion fun objectives on their own, a new shrine appears for you to conquer. These are like the earlier ones on the better side of the existing shrines, but don’t particularly stand out overall again. Now, completing all 3 shrines in an area will have you rematch the respective boss of each divine beast with the twist that you only have a certain set of gear and limited ammo available. This makes each fight a challenge and you really need to know the boss inside-out to beat him. This could again also be annoying for players who played the game quite laxly. So far, all of this is good content, but this is also where the problems with the DLC finally start. First, the content is entirely remixed content from the original game. Your tasks so far were a race similar to an original shrine challenge, a stronger version of an already existing world boss, a remixed version of a stealth section already present in the story and then also the same dungeon boss fight from earlier again. Actual new content is therefore missing. That is a shame as the criticisms of the original game, like the lack of variety in camp enemies, were left unaddressed. But there is more to this. Once you have finished all the tasks in one area, you then know exactly what will happen in the other three locations. It’s the same pattern each time; one challenge is a race, another is a boss fight and the last of the three is a remixed version of a sequence you already did in the main game. This is the precise problem of the DLC in that it becomes a checklist that you have to tick off in full in order to complete it. This throws the entire concept of the base game, where you could do whatever you like, out of the window. When you know what is coming up, those things lose their sense of wonder. Even when the content was decent, it still ends up feeling much more like a job with a set of busywork for you to clear out. Nintendo could have instead opted for the content to be more optional and then let you come back later if you so desire. The way it is, you kinda feel pressured to play the game just to get the reward that is the promised motorcycle. It is a shame that the DLC didn’t try to follow the same structure of freedom the base game had. In that way, it became more similar to a standard open-world Triple-A title and is also the biggest reason why the DLC got much lower scores. Now, there are just very few things left to critise about the DLC. First, let’s take a quick look into the full dungeon that has been added now. Like the earlier mentioned problem, it is also a remix of the previous dungeons. You have four different sections, each one corresponding to the mechanic of one of the four divine beasts: electricity, lava, wind and water. However, its own unique control accessed through the map screen is a rotating piston, which you can either set to rotate clockwise or anti-clockwise. This leads to some very interesting puzzles which, while still using elements from the previous ones, innovate enough with the new rotating mechanic to make the dungeon feel fresh and original. The best part about it is the amazing boss fight at the end, which is hard. First, the boss has a ton of health and has you fight him in 4 different phases, which use some of the mechanics from earlier fights including both bosses and standard enemies. Each phase has to be learnt and studied if you want to be successful. Failing and trying again to eventually succeed is the big fun with a boss such as this one. Every single one of his attacks has a pattern, which you can avoid and counter once you know it. There is little luck involved and you can gradually get better at it. This makes the boss hard but fair, which is the key component in a great boss fight. Overall, its difficulty and length makes it a perfect send-off for the end of the game. The dungeon and the boss is definitely the strongest part of the DLC. Since the rest of the DLC isn’t bad though, you can’t really call it “the saving grace”. The dungeon definitely stands out compared to the other parts of the DLC and is probably the reason the expansion didn’t get rated lower than it has. 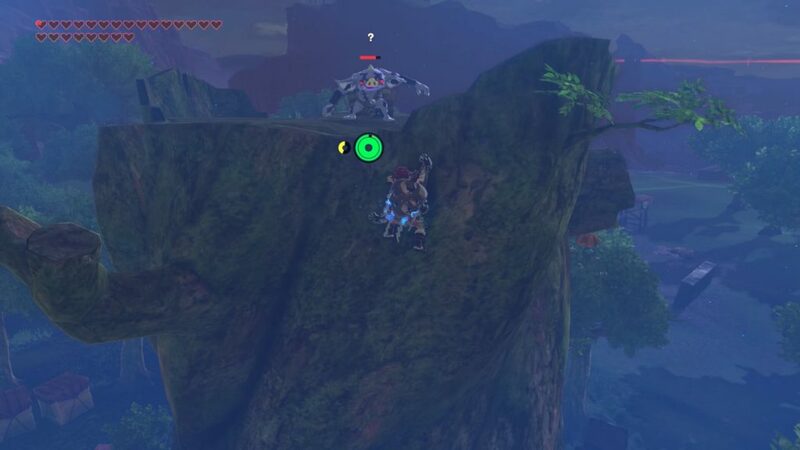 And finally, the big promise of the expansion: You are now able to pilot the Master Cycle Zero. Unfortunately, it really isn’t any better than a horse. They have same exact speed, so getting around isn’t any faster than before. Its biggest strength is that you can call it from anywhere unlike a horse. 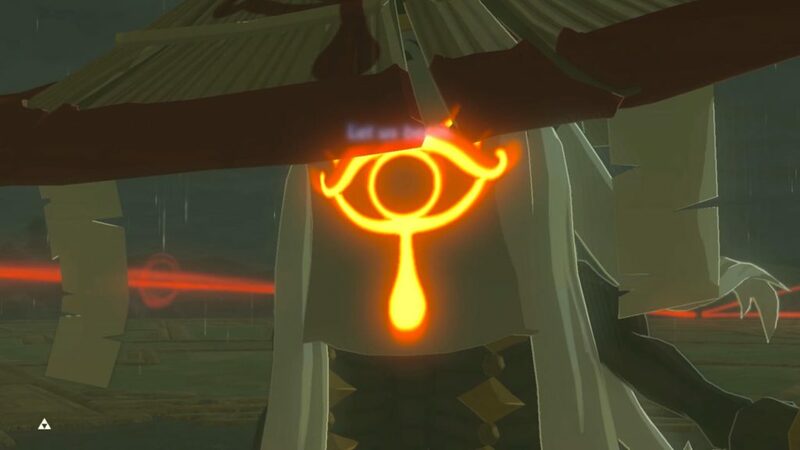 However, Nintendo has shot themselves in the foot here as the same expansion also contains horse armor by the name of the “Ancient Horse Gear” that allows you to summon your horse from anywhere. So, with no speed advantage and its main advantage also being available to a horse, it becomes a really underwhelming addition. Especially as you have to refuel it regularly with monster parts, you may wonder: why even bother? It does have a few advantages, like having a bit more maneuvarability, being able to more easily climb rocky hills and mountains and cancelling all fall damage. It therefore is particularly useful in uneven terrain but unfortunately only in this fringe case. Also, there is a lot of missed potential with the motorbike. After you complete the dungeon and get the motorbike, you get the motorbike and that’s it. It could have been so great if further challenges like race tracks all over Hyrule had unlocked at that point. We saw the DLC offering a shield-surfing and a sandseal race and those were in my opinion underutilized by the main game. Why are there no bikeraces though? The vast landscape of Hyrule could have made for some really interesting racing experiences and stunt jumps with the master cycle, but nothing of that sort exists. I believe this is a huge missed opportunity and really could have excelled the game further. While I don’t believe any reviewer disliked the motorcycle, I think it only managed to extend their gameplay time for a very short duration before they moved on to somewhere else. 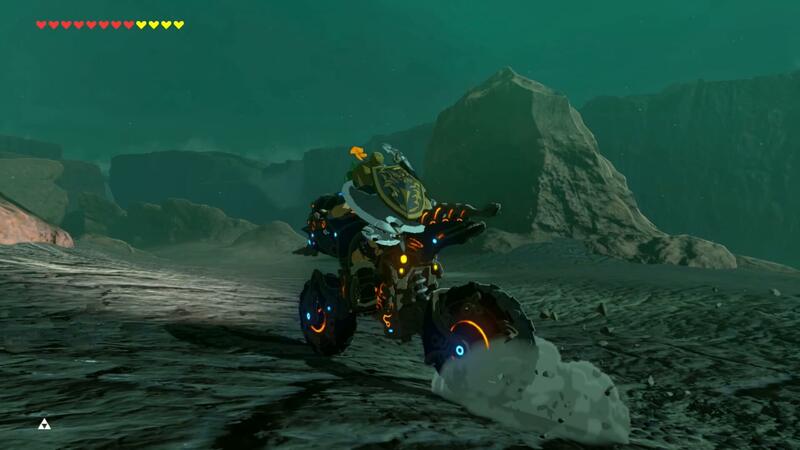 Apart from the initial gimmick of a motorbike in a Zelda game, there wasn’t anything around to really do with it. Breath of the Wild’s expansion is the biggest DLC project by Nintendo so far and it has unfortunately fallen flat on our expectations. It went against what made the base game great by not expanding on the exploration aspect and instead forcing the player down a checklist of shrines that need to be accomplished. The reward of the motorbike also ended up being nothing but hot air as it was only marginally more useful than a horse. The game misses the huge opportunity to add races or anything else that could be done with the motorbike. Thus, there also wasn’t anything new to do with it. One thing that I’ve yet to mention is that People and critics hoped for the story to actually be expanded and added upon. But instead, we got more insight into the backstory. This is a subtle, but very major difference as people really wanted to have a glimpse at what happens after the base game finishes. This too must have left a sour taste with the critics. In total, the expansion pass, while providing solid content, only added more of the same stuff. By not providing anything new it was not able to show the world the vigor that the base game so profoundly did. And thus, I have to say that I agree with the other critics in giving the game a score of 80/100. I also believe that the added content of the season pass is in total not worth $20, especially when considering it to the base game. I would therefore recommend getting it at a discount, maybe around $15. Mind you, overall it is still fun additional content and if you have an itch for more Breath of the Wild, it is certainly worth playing. It is far from a must-play though and that is why it only got an 80 on Metacritic. Hopefully, Nintendo learns from this so the next DLCs they make can be extra special. While still decent, the expansion to Breath of the Wild doesn't hit the same tune that the base game did.